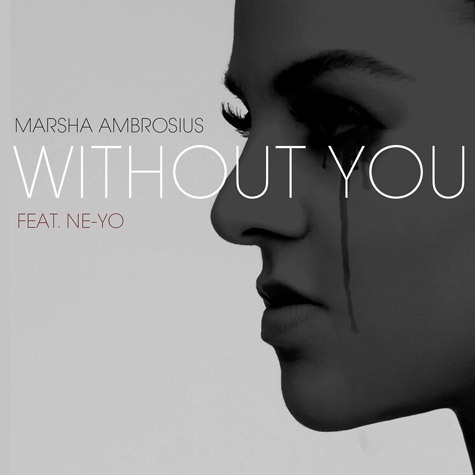 UK soul singer Marsha Ambrosius gives us a breath of fresh air with her new radio single ‘Without You’. Ambrosius enlists R&B singer-songwriter Ne-Yo to duet with her on the soulful track, of which he also adds his own touch to. ‘Friends & Lovers’ is a follow-up release from her 2011 solo debut ‘Late Night & Early Mornings’ which reached #1 on the US R&B charts. Hopefully her new album ‘Friends & Lovers’, out later on this year, can also move shift some units. ‘Without You’ is an emotional song, which we're not usually used to from the British singer. Listen to the ballad below.